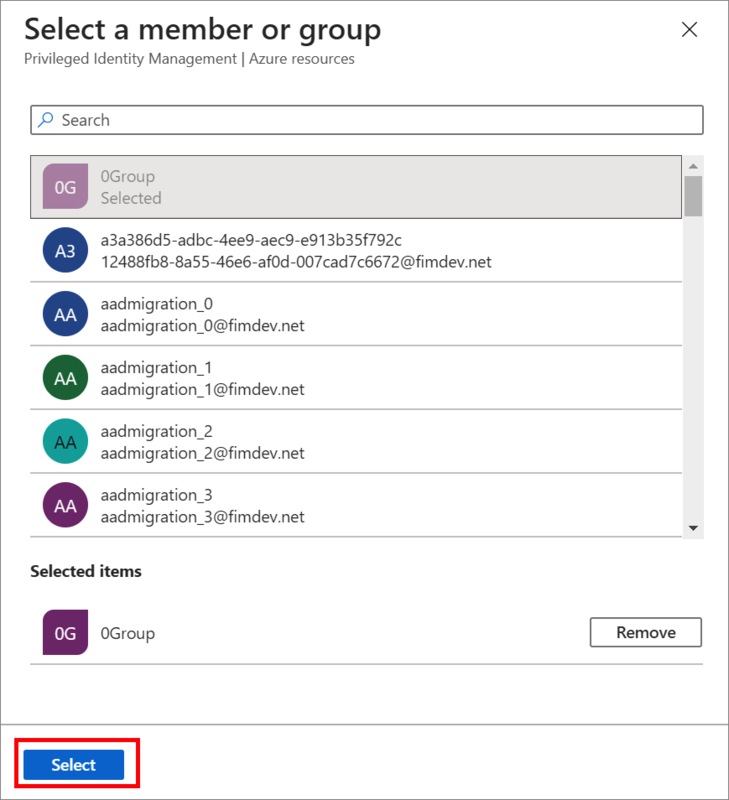 Users or members of a group assigned to the Owner or User Access Administrator roles, and Global Administrators that enable subscription management in Azure AD are Resource Administrators. 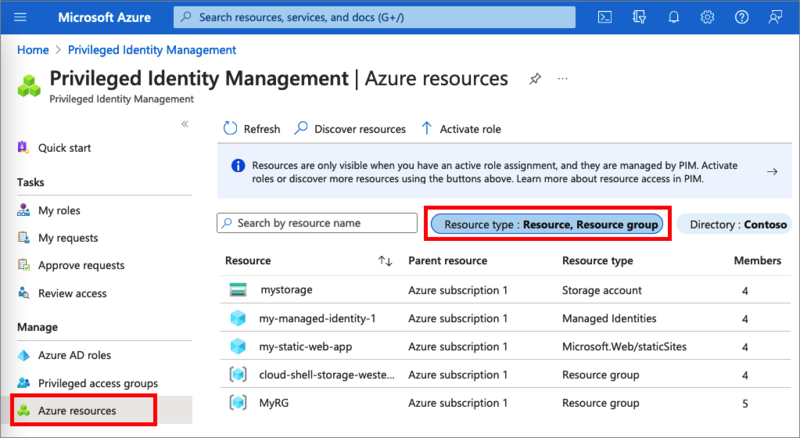 These administrators may assign roles, configure role settings, and review access using PIM for Azure resources. 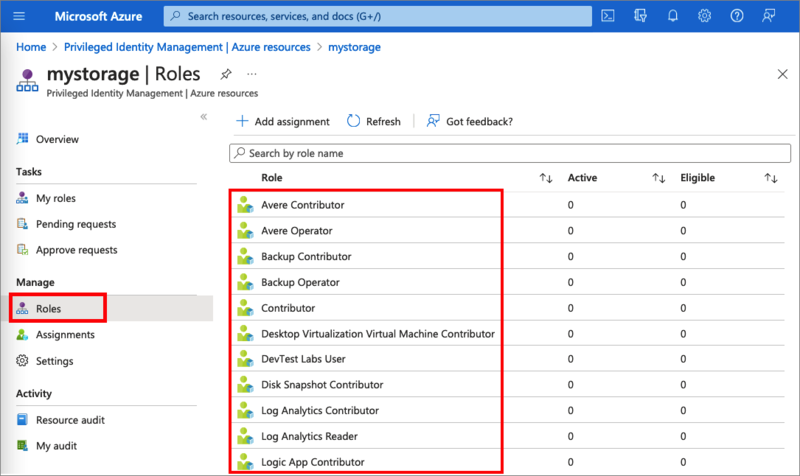 View the list of built-in roles for Azure resources. 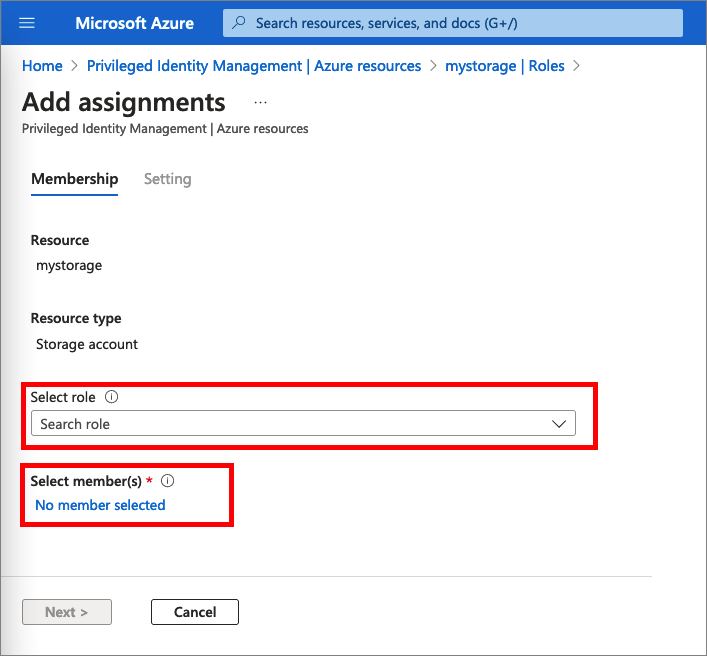 Follow these steps to make a user eligible for an Azure resource role. 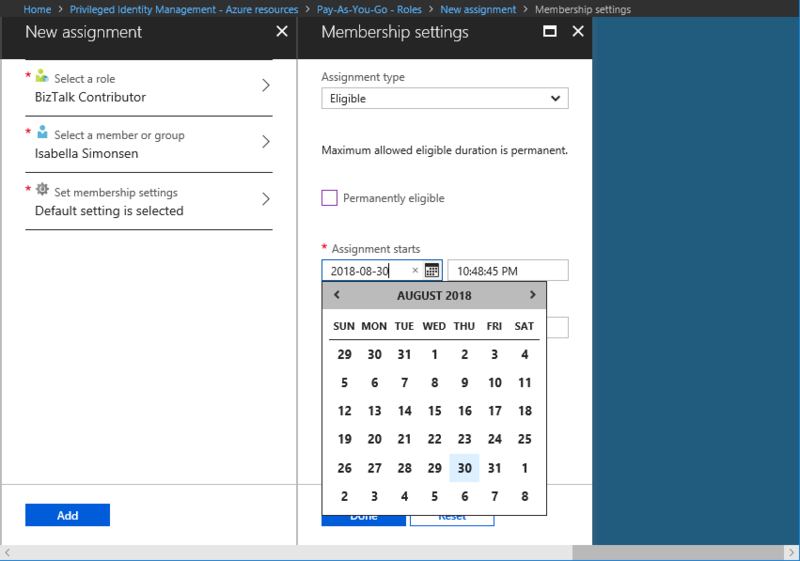 Sign in to Azure portal with a user that is a member of the Privileged Role Administrator role. For information about how to grant another administrator access to manage PIM, see Grant access to other administrators to manage PIM. If you haven't started PIM in the Azure portal yet, go to Start using PIM. Use the Resource filter to filter the list of managed resources. Click the resource you want to manage, such as a subscription or management group. 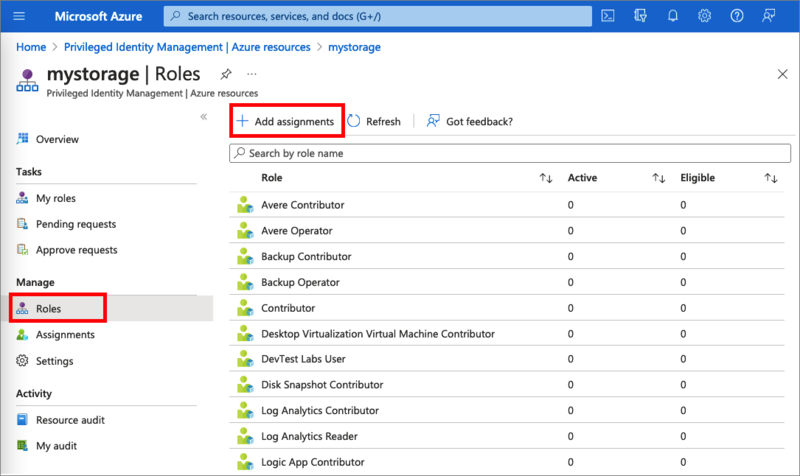 Under Manage, click Roles to see the list of roles for Azure resources. Click Add member to open the New assignment pane. Click Select a role to open the Select a role pane. Click a role you want to assign and then click Select. 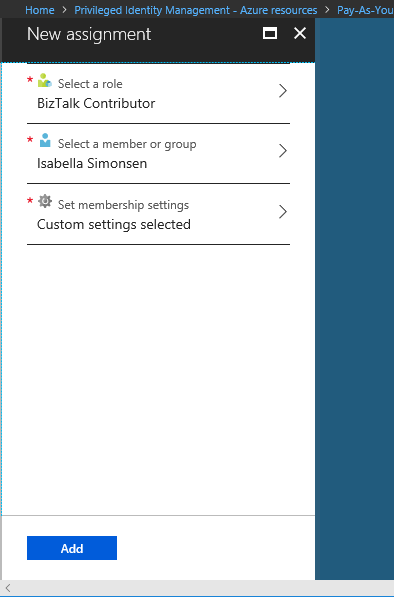 The Select a member or group pane opens. Click a member or group you want to assign to the role and then click Select. The Membership settings pane opens. In the Assignment type list, select Eligible or Active. Eligible assignments require the member of the role to perform an action to use the role. Actions might include performing a multi-factor authentication (MFA) check, providing a business justification, or requesting approval from designated approvers. Active assignments don't require the member to perform any action to use the role. Members assigned as active have the privileges assigned to the role at all times. If the assignment should be permanent (permanently eligible or permanently assigned), select the Permanently check box. Depending on the role settings, the check box might not appear or might be unmodifiable. To specify a specific assignment duration, clear the check box and modify the start and/or end date and time boxes. To create the new role assignment, click Add. A notification of the status is displayed. Follow these steps to update or remove an existing role assignment. Click the role that you want to update or remove. Find the role assignment on the Eligible roles or Active roles tabs. Click Update or Remove to update or remove the role assignment. 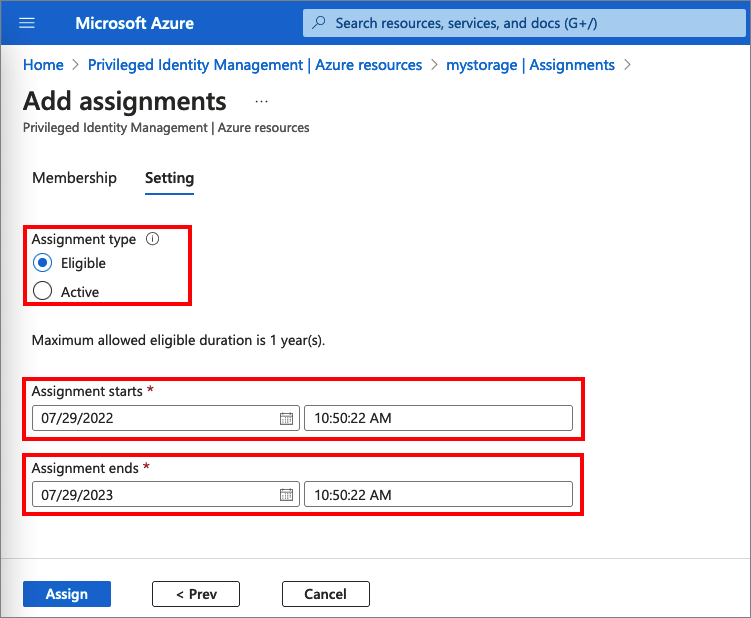 For information about extending a role assignment, see Extend or renew Azure resource roles in PIM.